It was international yoga day on Thursday - the day was proclaimed in 2014 to recognise and celebrate the health benefits of yoga. The 21st of June is the longest day of the year and not chosen by coincidence - it symbolises light, clarity, strength and forces of wisdom. The theme for International Yoga Day this year was yoga for peace and my first foray into yoga couldn't fit this any better - I've been practising yoga since I was 23 (considerably older than that now!) 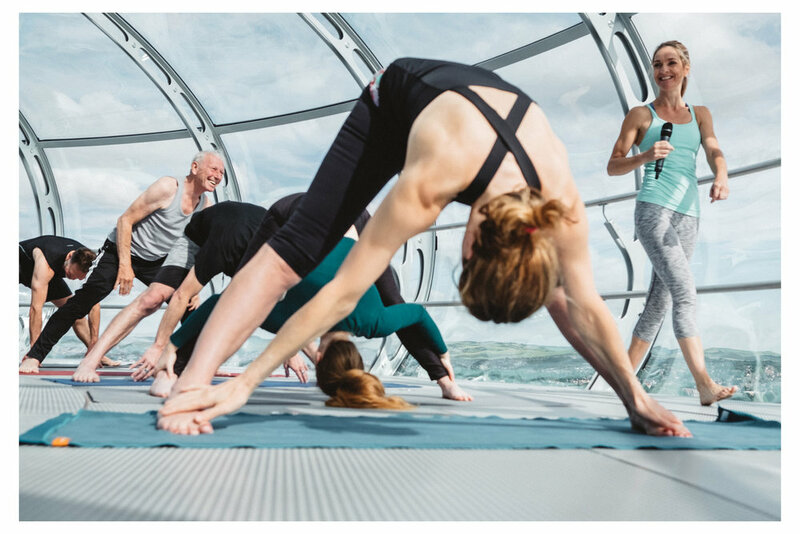 - I was a member of a small hotel health club in Bournemouth and a regular there persuaded me to try yoga as they wanted to get the numbers of the class up. I instantly fell in love with it - it wasn't at all what I was expecting (I had ideas of a wafty teacher, joss sticks and over dramatic breathing), we had a giggle in class, it wasn't at all cliched and in the years that followed it really helped me get through losing my Dad and a delayed grief for my dear Aunt who I had lost a few years earlier. I genuinely looked forward to every Tuesday so I could go to class. It helped me feel less manic - my then boyfriend would comment on how much more centred and calm I was coming home from a yoga class and it seeped into the other days of my weeks too. The benefits of yoga for mental health can't be ignored - by reconnecting with your body you centre yourself and give yourself self confidence and a sense of self control. It also moves you from your sympathetic nervous system to your parasympathetic nervous system - this means that you are no longer in fight and flight (back in caveman days this would be hunting mode when your stress hormones soar) to rest and digest (where your stress hormones take a rest to allow you to eat and digest the food you caught, with some rest after). Yoga has also been shown to increase levels of gamma-aminobutyric acid (GABA) that helps to regulate nerve activity which in turn helps your nervous system work more effectively. Add to that, the whole basis of yoga is finding a core strength which will hold your body in the right way and make you feel more balance and with a general sense of wellness. Growing research also shows yoga relieves muscle stress, tension, strain, sharpens attention and concentration, reduces depression symptoms and aids with sleep disorders. I am not your typical 'yoga bunny', I don't look amazing in expensive yoga leggings (as good as it looks on others) and can't afford that anyways. I also don't drift in and out of yoga classes and go for soya lattes afterwards. You could choose to live a yoga life like that and if you love it, great! For me - I often feel like my to do list doesn't warrant for me to go and spend a few hours a week stretching and breathing. While the benefits above make it clear that I should make time for that I needed a yoga class where I was getting those benefits but I also felt like I was working out - Vinyasa yoga is perfect because you are constantly moving, you get a sweat on and feel like you're getting a workout but you're also getting all those amazing benefits on your nervous system. 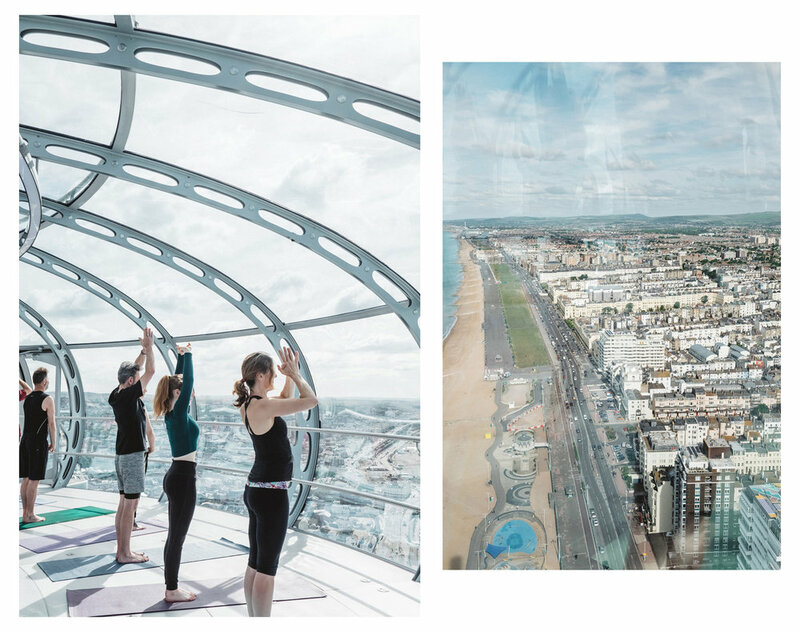 I mainly frequent two yoga classes in Brighton - Yoga With Fiona and Jordan Paul and I wholeheartedly recommend both classes. 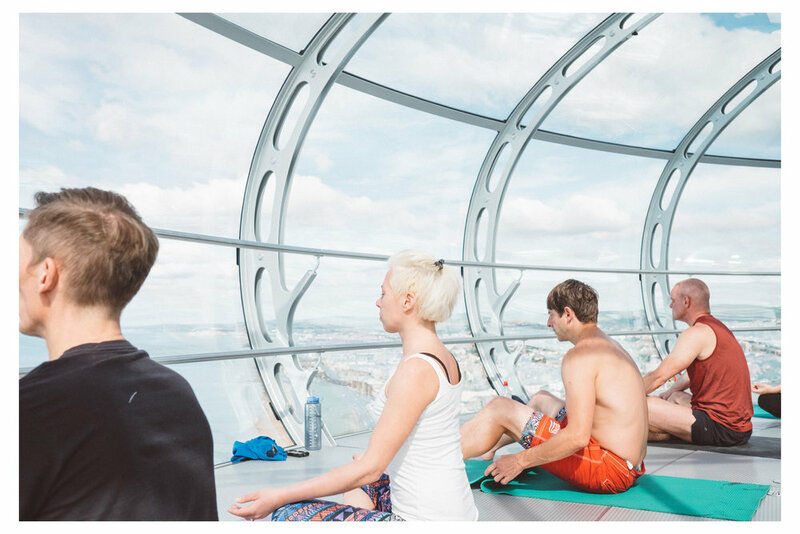 On International Yoga Day I was lucky enough to join Fiona and 30 other practitioners at 8am to take flight on the i360 on the seafront where we took in amazing views across the coast, West Pier and our wonderful city. It was a magical experience and a perfect way to start a busy day with focus and poise. If you are worried about starting a yoga class with no experience you can try some practice at home first - just half an hour before breakfast will be enough for you to feel some effects. 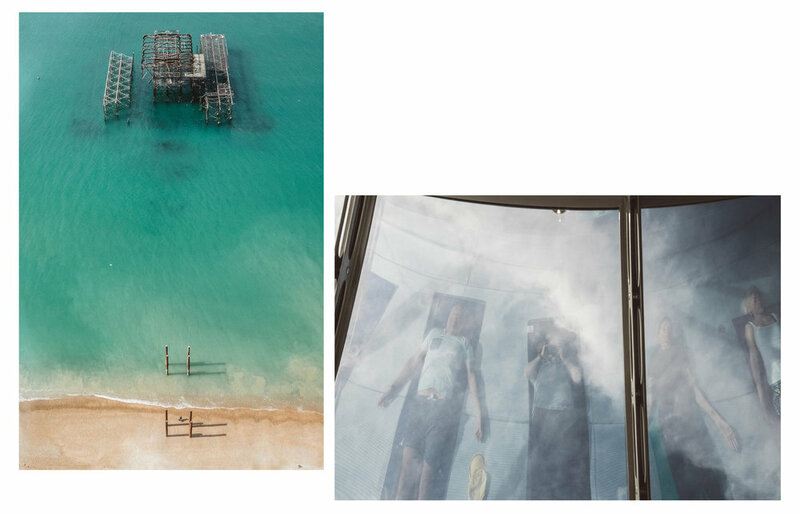 They are some great practices to be found online - try Madeleine Shaws. Once you do get to a class you will find everyone is so immersed in what they are doing and the amazing benefits from their practice and definitely not watching or judging you!